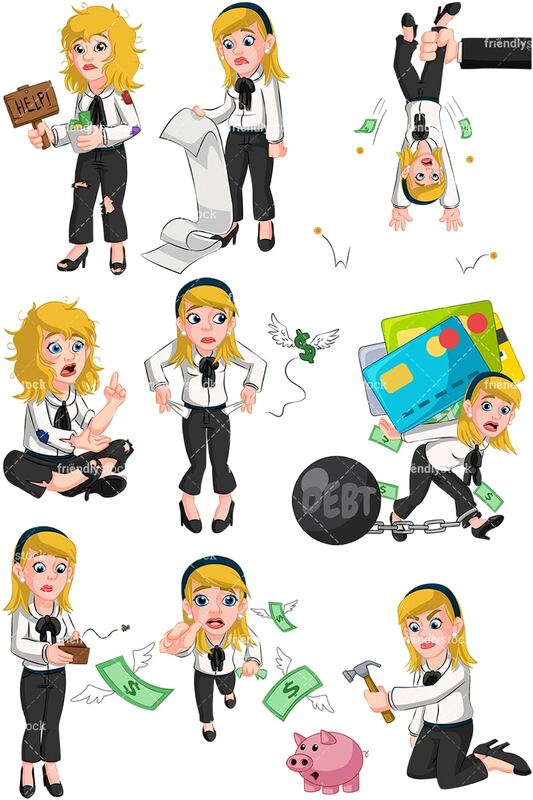 Royalty-free vector illustration of a businesswoman checking her empty pockets for coins. A dollar sign with wings is flying away in the background. She’s so broke! 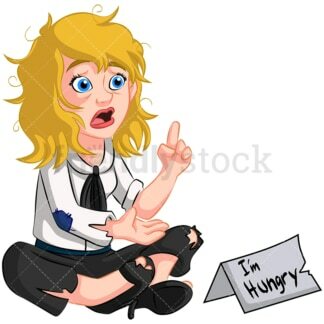 Royalty-free vector illustration of a hobo businesswoman sitting on the ground in a ripped up suit with patches. There are holes in her shoes and her hair is a mess. She appears to be asking for money with her finger held up as she’s talking. Royalty-free vector illustration of a homeless businesswoman asking for money on the streets. She is in disarray with patches and holes in her suit while holding a money cup and help sign. Mister can you spare a dime? 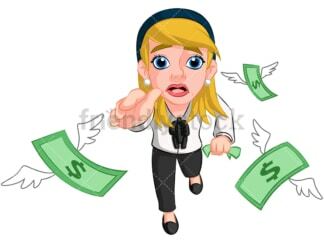 Royalty-free vector illustration of a businesswoman chasing cash that’s just out of reach. 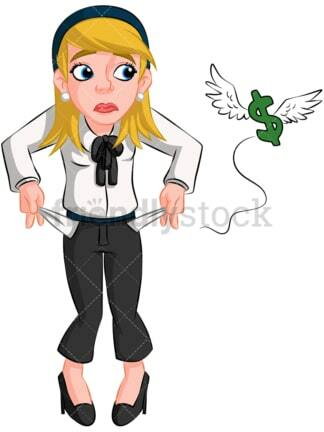 She has a desperate look as she watches the cash flying away on wings. Catch it if you can! Royalty-free vector illustration of a concerned businesswoman reviewing a long pile of paperwork that’s falling to the ground. It’s not looking good for her company. 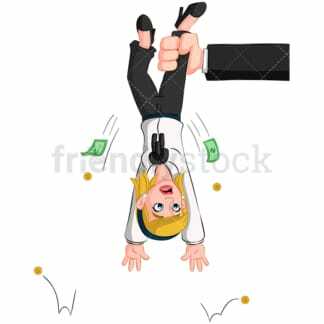 Royalty-free vector illustration of a businesswoman about to break into her piggy bank with a hammer. What’s she trying to fund? Royalty-free vector illustration of a businesswoman carrying a pile of credit cards on her back while her feet are chained. Will she ever be free?